Botox is the most popular cosmetic treatment in the world and Botox in Cleveland, OH is no exception. Over 6 million people received Botox or similar injections last year. Due to its popularity, Botox patients in Cleveland should be educated about Botox. 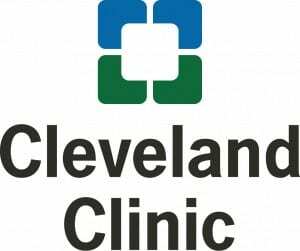 In fact, many in Cleveland performing Botox injections who are not medical doctors. It is important to see a double-board certified trained specialist who understands the complex anatomy of the face to perform your Botox treatment in Cleveland. 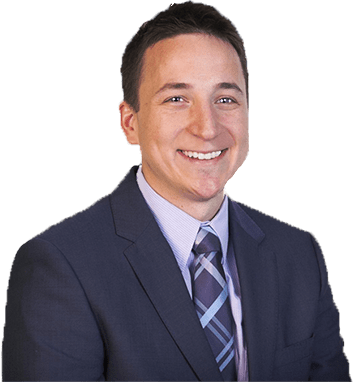 Dr. Harmych is board-certified and fellowship-trained in facial plastic and cosmetic surgery, so Botox patients in the Cleveland and Beachwood area can rest-assured they are in expert hands when receiving Botox. Best-known by its trade name, Botox, this neurotoxin, botulinum toxin type A, is used to temporarily weaken facial muscles causing lines and wrinkles to diminish. It is a popular option for men and women who wish to reduce the appearance of frown lines between the eyebrows and lines across the forehead. It is also used to eliminate crow’s feet around the eyes and unattractive neck bands. Who Is a Good Candidate for Botox in Cleveland, Ohio? Men and women who desire temporarily improving the appearance of crow’s feet, frown lines, and forehead lines may be candidates for Botox treatment in Cleveland. However, candidates should consult with a cosmetic surgery expert, such as Dr. Harmych, of Harmych Facial Plastic Surgery in Cleveland, Ohio, to help determine if Botox is the correct facial cosmetic procedure for you. Who Is Not a Candidate for Botox®? Those who are pregnant or breastfeeding should not use Botox. Also, Botox should not be used by anyone who has a neurological disease. Consult with a doctor first before receiving cosmetic Botox® treatments. How Long Does a Botox Treatment In Cleveland Take? A Botox injection only takes around 10 minutes to perform at our private Beachwood office just outside of Cleveland, Ohio. Are There Any Preparations Before Botox®? Do not take aspirin or any type of anti-inflammatory medication at least one week before treatment to reduce bruising. Botox® treatments carry minor side effects such as bruising, swelling and redness which resolve quickly. Most patients report minimal discomfort or pain after a treatment. Pain relievers are generally not required. Redness at the injection site is common but usually resolves within a few hours. If present, mild swelling and bruising may last a few days and can be treated with cold compresses. Makeup and other cosmetic products may be used immediately to conceal any redness or minor bruising. More severe side effects of Botox®, like double-vision and drooping of the eyelid, are very uncommon. What Is the Recovery Period After a Botox® Treatment? Most patients return to their occupational and social activities immediately. Exercise may be resumed 24 hours following injection of Botox®. How is Botox® Different From Other Cosmetic Injectables? Botox® was the first to market in utilizing botulinum toxin. Other injectable cosmetic treatment products include Dysport® and Xeomin®. Although they are very similar, they are not the same. Dysport® contains a smaller protein than Botox®. Dysport® is also noticeable more quickly than Botox®. Unlike Botox® andDysport®, Xeomin® does not contain protective proteins clustered around the active part of the molecule, which may lessen the possibility of a patient developing antibodies to Xeomin®. It is important to see an plastic surgery expert like Dr. Harmych who knows how to take advantage of the subtle differences between Botox®, Dysport® and Xeomin®. How Soon Can Results Be Expected After Botox®? Results after Botox® treatment are generally seen within 5-7 days with maximum effect in about 2 weeks. For most patients, the effect of Botox® lasts about 3-4 months. Who Should Perform Botox® Treatments? Botox®, like any other neurotoxin, carries with it some risk. Due to these risks, it is important to receive Botox® treatments from a trained physician with extensive experience and knowledge of facial anatomy. Facial cosmetic surgery specialist, Dr. Harmych is a fellowship-trained and double board-certified facial plastic surgeon in Cleveland, Ohio. Find out more about Cleveland experts in Botox. Is Botox® Covered by Insurance? Botox® is generally not covered by insurance when used for facial plastic or cosmetic purposes. Please check with your provider before visiting our Pepper Pike office. When Was Botox® First Used? Botox® has been used since 1985. It was originally used for the treatment of cervical dystonia, an involuntary contraction of the neck muscles. It gained FDA-approval for cosmetic and nonsurgical use in 2002.